Medical skin repair after permanent make-up, tattoos or laser treatments - Formulated to provide a maximum protection to damaged or irritated skin. The Protect & Repair Ointment is formulated to provide a maximum protection to damaged or irritated skin. It contains a very high level of lipids that protects and nourishes the skin. Vitamins and other actives gently supports the skins natural regeneration process and barrier restauration*. To provide the maximum protection this ointment is slightly thicker in its viscosity and you will feel how it creates a protective barrier. It is also suitable for dry cracked skin and dry chapped skin spots. To note: The chart looks empty but is correct, there were 0% recorded irritations during the clinical testing. Apply the ointment on clean dry skin 3-5 times a day for 7-14 days after the treatment or until the area is fully healed (e.g. a few days for a sun burn). The ingredients are the foundation of any product. For that reason, we put the highest priority on creating exceptional formulations with the best ingredients available. 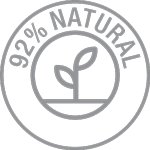 Our mainly natural ingredients are always well researched, documented and proven to be effective and gentle to the skin. Provides several key benefits for wound healing and barrier restauration by preventing trans-epidermal water loss, locking in moisture in the skin. Niacinamide (also called Vitamin B 3 or Nicotinamide) is commonly used in the pharmaceutical industry for its anti-inflammatory and skin barrier restauration properties. It was discovered in 1937 and has played an important role in dermatology for decades. Topical application of niacinamide has a stabilizing effect on epidermal barrier function, seen as a reduction in transepidermal water loss (TEWL) and improvement in the moisture content of the horny layer. Niacinamide leads to an increase in protein synthesis (e.g. keratin) and has anti-inflammatory effects*. Commonly used in dermatology since decades for its healing and calming effects. Vitamin E (also called alpha-tocopherol) is used by dermatologists and physicians for its calming and antioxidant effects. It was discovered in 1922 it has played a key role in experimental and clinical dermatology for more than half a century. More common applications of vitamin E includes treatment of burns, surgical scars and other wounds. It is also common in products used for healing and calming atopic dermatitis or eczema. Advances in research on the physiology and mechanism of vitamin E in human skin has led to the development of numerous new formulations for use dermatological products. Research suggests that topical vitamin E also has skin barrier stabilizing properties. Calendula oils are derived from the marigold flower and have been used for medicinal purposes for centuries. The flowers were applied to cuts and wounds to stop bleeding, prevent infection and speed healing. It is still important in alternative medicine today and within Dermatology Calendula based products have been used treat minor cuts, burns, and skin irritation*. ** Duran, V, et al. (2005). "Results of the clinical examination of an ointment with marigold (Calendula officinalis) extract in the treatment of venous leg ulcers". Int J Tissue React. 27 (3): 101–6. PMID 16372475. Squalane is a natural substance manufactured within our own skin that offers protection and hydration. It is nourishing and boosts the skins ability to regenerate. Originally derived from deep sea sharks squalane has been used for centuries for its health benefits. Recently high performance vegan alternatives are available. 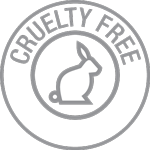 Vivocin only uses 100 % plant-derived squalene respecting animal rights and sustainability. Naturally occurring in our own bodies, it is among the most common lipids produced by human skin cells, making up approximately 10 percent of our sebum. On the skin’s surface it acts as a barrier, both protecting the skin from moisture loss and providing a shield for the body from environmental toxins. Many medical professionals assert that squalane can be effective in treating the symptoms of atopic dermatitis, eczema, rashes and sun burns. This antioxidant-rich ingredient fights free radicals in the skin and it has good antibacterial properties. Beeswax applied to the skin also has soothing and protective properties. It provides a natural barrier between the skin and outside elements, helping to retain moisture and keep out environmental contaminants and toxins. This is a very important benefit in today’s urbanized high pollution environment. Beeswax provides a natural and healthy alternative to paraffin and mineral oil. * Peter J. Frosch; Detlef Peiler; Veit Grunert; Beate Grunenberg (July 2003). Efficacy of barrier creams in comparison to skin care products in dental laboratory technicians – a controlled trial.". Journal der Deutschen Dermatologischen Gesellschaft (in German) AND Blackwell Synergy. 1 (7): 547–557. doi:10.1046/j.1439-0353.2003.03701.x. PMID 16295040. Retrieved 1/12/2008. Shea butter is an effective base for medicinal ointments. Some of the isolated chemical constituents are reported to have anti-inflammatory**, emollient, and humectant properties. * E. T. Masters, J. A. Yidana and P. N. Lovett. "Reinforcing sound management through trade: shea tree products in Africa". ** Akihisa, T.; Kojima, N.; Kikuchi, T.; Yasukawa, K.; Tokuda, H.; Masters, E. T.; Manosroi, A.; Manosroi, J. (2010). "Anti-inflammatory and chemopreventive effects of triterpene cinnamates and acetates from shea fat". Journal of Oleo Science. 59 (6): 273–80. doi:10.5650/jos.59.273. PMID 20484832. For centuries, menthol has been used as a natural solution for treating burns and calming inflammation. It’s 100 % natural and is derived from the mint family of plants. If you experience minor burns or minor inflammation menthol relieves the sensation of heat which contributes to pain. 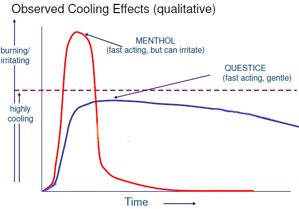 Menthol also increases the local blood supply to the skin. By doing so it enables the absorption of other ingredients in a topical formulation. This is why Menthol is often added to creams or lotions. Menthol is proven to be very safe to use. As long as the quantities are in line with health authority guidelines there should be no negative side effects. Vivocin offers a high performance medical skin repair range that include many of the proven ingredients that are used in the pharmaceutical wound healing industry. The formulas are developed to support effective and gentle healing after dermatological procedures like permanent make-up, tattoos and laser treatments. 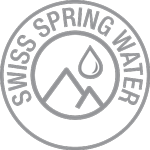 All Vivocin product are always DEVELOPPED and MADE IN SWITZERLAND to ensure the highest quality and safety profile. To further guarantee the quality and safety we work with well renowned test institute COMPLIFE. Our effective, gentle and clinically proven products provide your skin with the best possible solutions, when it needs it most. The skin is the largest organ in the human body making up about 16% of the total body weight. Its most important function is to form a physical barrier to the environment allowing and limiting the inward and outward passage of water and various substances. It also provides protection against mechanically induced injury, micro-organisms, UV radiation and toxins (e.g. pollution). It consists of three structural layers, the epidermis, dermis and subcutis (or hypodermis). The epidermis is the outer layer, serving as the physical barrier between the body and the external environment. 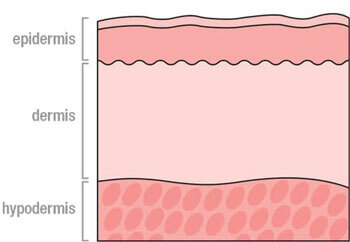 The dermis is a deeper layer providing structural support to the skin while the subcutis makes up the very inner layer and is an important depo of fat. The skin constantly renews itself, the complete cycle takes about 28 days. Skin cells gradually move from the inner layer to the epidermis where they eventually die and are released from the skin. Vivocin products are created to enable you to take care of your skin like it takes care of you. The skin is in constant contact with the external elements like cold, heat, extreme dryness. This can put a strain to the skin causing irritation, redness and itch. In the same way certain dermatological or medical procedures can negatively impact the skin. It will then need some extra attention and support to get healed. 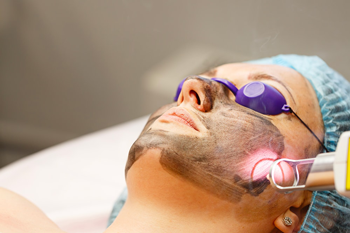 Permanent cosmetics, tattoos and laser treatments are examples of procedures that require special after-care to ensure the healing of the skin as well as ensuring the results of the procedure are as good as possible. There are many ways to measure the health of the skin. 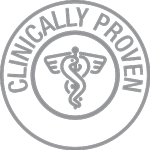 One of the most common measures to assess wound healing is Trans Epidermal Water Loss (TEWL). It measures the amount of moisture that the skin releases. Due to its weakened structure damaged or scared skin releases more water than healthy strong skin. Avoiding excessive water loss is instrumental to the healing of skin. All Vivocin products are designed to support the skin by decreasing TEWL.